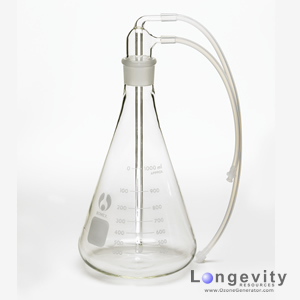 Glass Flask for Ozonating Water, two convenient sizes, high quality professional laboratory grade glassware and durable. Made in Canada (not China!). Click for more information. A 50ml Bubbler for Humidifying with Water or Bubbling ozone through oils, a 50ml Glass TRAP to protect the generator from "backflow". Comes with a handy plexiglas stand. 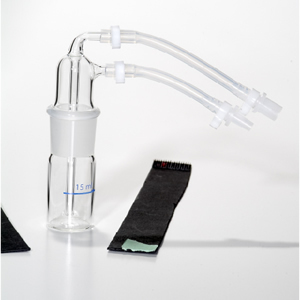 A 500ml or 1000ml Glass Flask, 50ml Bubbler for Humidifying with Water or Bubbling ozone through oils, a 50ml Glass TRAP to protect the generator from "backflow". Comes with a handy plexiglas stand. A 50ml Bubbler for Humidifying with Water or Bubbling ozone through oils. Quality Borosilicate Glass and quality curved glass manufactured in Canada (not China!). 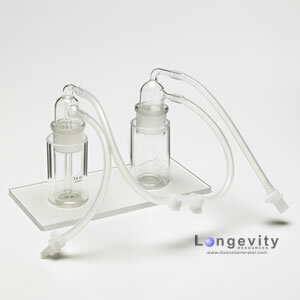 Protect your Ozone Generator from 'Backflow' with Longevity's 50ml TRAP. Water or oils are "Trapped" here if they try to make it into your ozone generator. Works with any ozone generator. Quality Borosilicate Glass and quality curved glass manufactured in Canada (not China!). 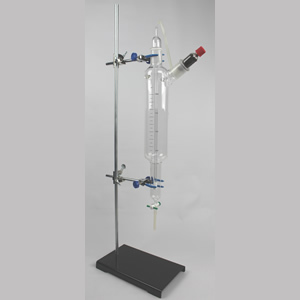 A high quality all glass "O3 Super Column" for ozonating Water or Saline to high ozone concentrations quickly! Under 7 minutes! 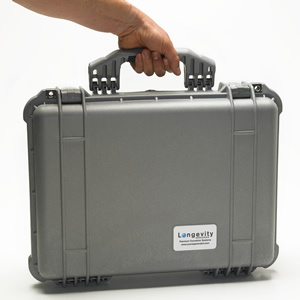 A high quality durable Briefcase to protect your Longevity EXT or Quantum Ozone Generator. Lifetime Warranty against breakage of the case, and water tight. 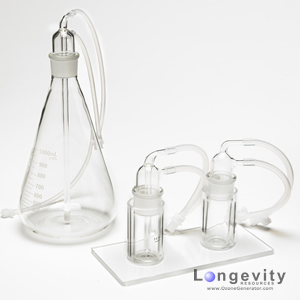 Suitable for mounting your Longevity EXT Ozone Generator glassware and Ozone Destruct. Use as a Table-top Stand or as a Wall Mount. Prevent release of ozone into the room. 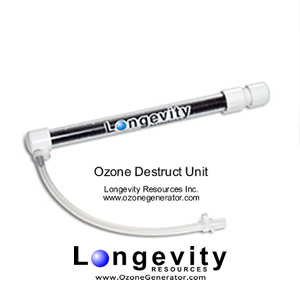 Ozone Destruct Pro destroys offgassing ozone and converts it to Oxygen. Prevent release of ozone into the room. 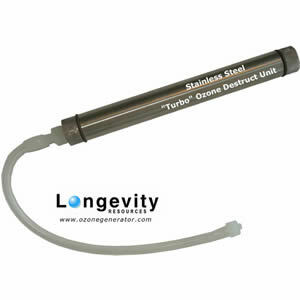 The "Turbo" Ozone Destruct, smaller and made of Stainless Steel, destroys offgassing ozone and converts it to Oxygen. 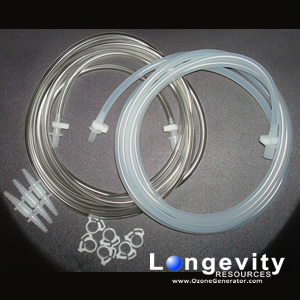 Ozone Tubing Package with Ozone Resistant Silicone Tubing, Ozone Resistant Connectors, Oxygen Tubing, PLUS Extra Connectors and Clamps. Only the best for you, from Longevity! 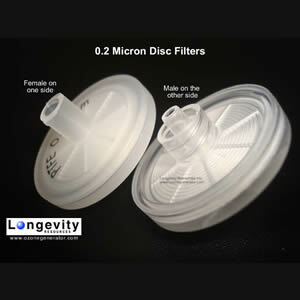 Filter Oxygen or Ozone down to 0.2 microns with Longevity's Micron Disc Filters. Best Quality, best price from your supplier Longevity Resources Inc. 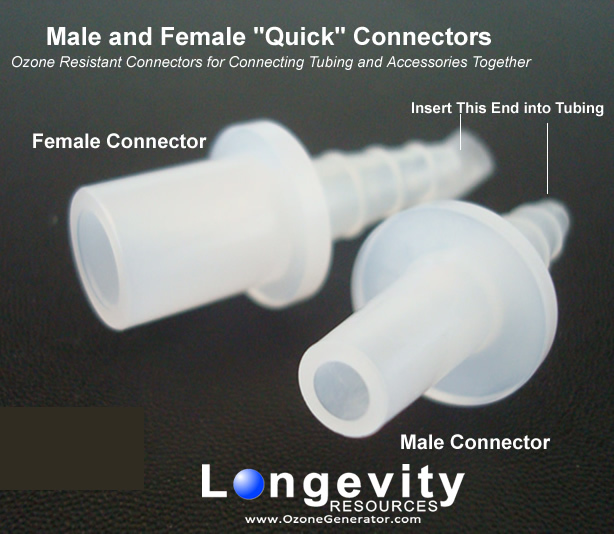 Convenient Ozone Resistant "Quick Connectors" for connecting Silicone Ozone Tubing to Ozone Accessories, or Oxygen Tubing to Oxygen Accessories. 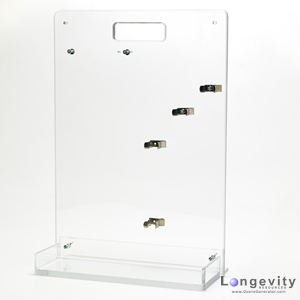 Always in stock with immediate shipping from Longevity Resources Inc. your one stop ozone shop. 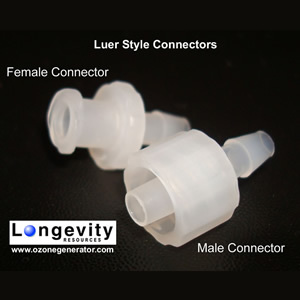 Convenient Ozone Resistant "Luer Connectors" for connecting Silicone Ozone Tubing to Ozone Accessories, or Oxygen Tubing to Oxygen Accessories. Always in stock with immediate shipping from Longevity Resources Inc. your one stop ozone shop.